I have never been a fan of drywall. Having grown up in a house with “real” walls made out of brick and cement, it seemed odd to me that anyone could, with little to no effort, punch a hole in a wall with their fist. Where I come from, such action would require a trip to the emergency room, not to the hardware store. 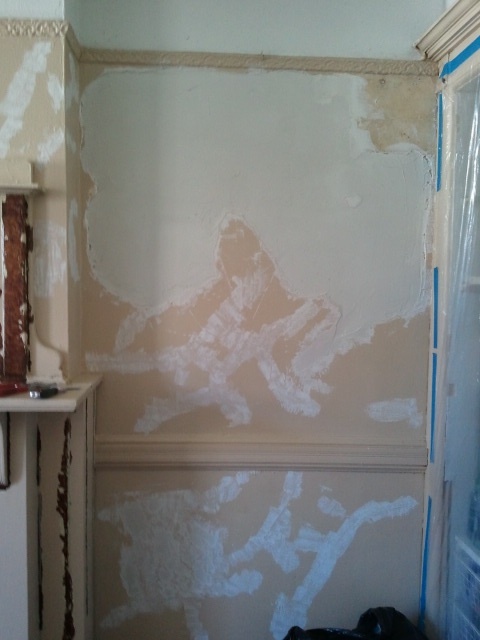 Plaster, unlike drywall, is a much harder surface. It is fire resistant and it blocks sound quite nicely. 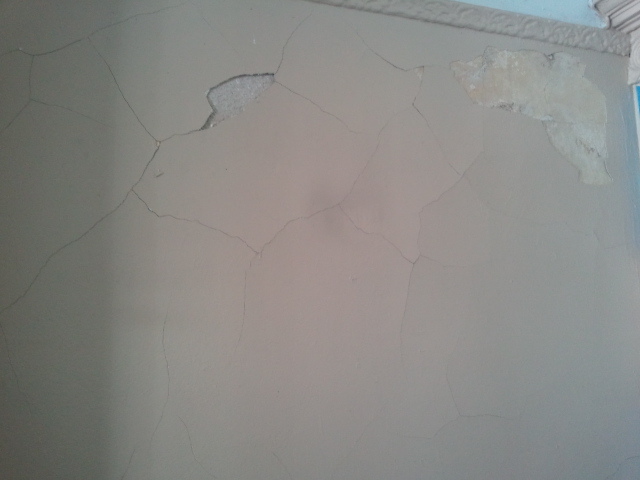 It breaks my heart when people talk about ripping out the plaster in their homes simply because there are a few cracks. While we have a few walls we think are not salvageable (top floor bathroom is cracked to oblivion due to years of unchecked moisture), we plan on repairing the many many many many cracks and missing bits of plaster throughout the Pink Lady. Here is a great case for saving plaster, as well as more info than you ever cared to know about plaster technique and historical relevance. Squishy bubbly walls be gone! 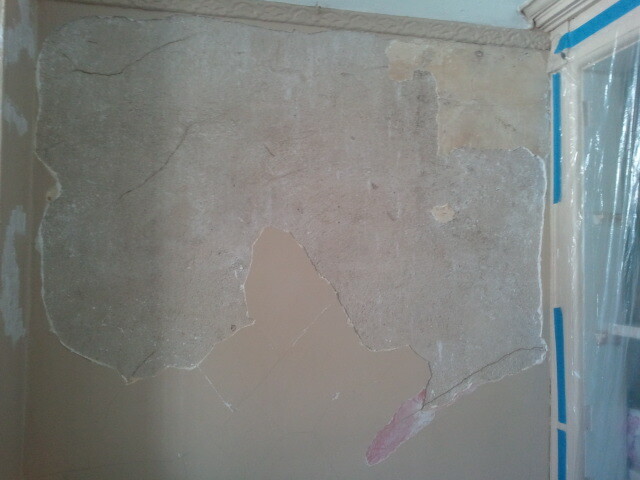 We removed the bubbling top layer of plaster to reveal the layer beneath it, which was in OK shape. The size of the required patch was quite intimidating. And then filled it in with joint compound. Since I hate sanding, I’m taking my time with the layers to see if I can avoid it all together. I figure it will take 2 or 3 more passes and I should be good to go.